On August 1st, 2018, the University of Connecticut Board of trustees approved Dr. James Rusling as the Paul Krenicki Professor of Chemistry. 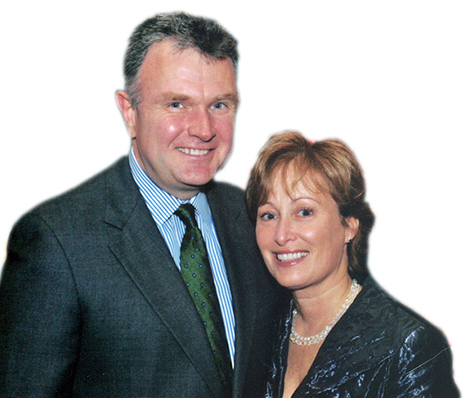 The Paul Krenicki Professorship is possible with the support of John Krenicki Jr. '84 and Donna Samson Krenicki '84. The professorship is named after Krenicki's brother, Paul, who had a passion for chemistry but whose college career was cut short. Paul was bound for a career as a chemist, but died of cancer at age 22. The Paul Krenicki Professorship of Chemistry provides the Chemistry Department with a significant boost and will help bolster UConn's rising academic stature. "To attract faculty, having these endowed professorships is a big deal. It's a big factor in terms of recruiting and retaining key faculty. It's a permanent commitment to the university. From where we sit, it's probably the best thing we can do to advance the university," said Krenicki, a longtime, generous donor to the University. "This professorship will strengthen our Chemistry Department's already exceptional capacity to train undergraduates for science careers and to pursue research in fields like material science, biomedicine, and environmental sustainability. UConn undergraduates, graduate students, and faculty will all benefit from this gift for years to come, and for that we are truly grateful to them," said Jeremy Teitelbaum, former dean of the College of Liberal Arts and Sciences. Professor Rusling was nominated for the inaugural Krenicki Chair by a search committee of his peers within the department. The nomination was based on his truly remarkable record of research and funding. Rusling came to UConn in 1979, and has authored more than 400 research publications and book chapters, in addition to mentoring 57 Ph.D. students and 36 postdoctoral fellows. He is currently the program director of two large multi-investigator NIH projects, one involving six Irish universities and another that targets new high throughput toxicity screening arrays. He has collaborated with numerous faculty over the years, both within UConn and externally. Professor Rusling is an example of a world-class researcher, dedicated educator, and engaged departmental member. We are proud to have such a truly deserving holder of this new chair within the ranks of our department.